This incredible 6 bedroom private villa is a stunning escape in tropical Ao Yon, directly on the white sands and turquoise seas of the bay. 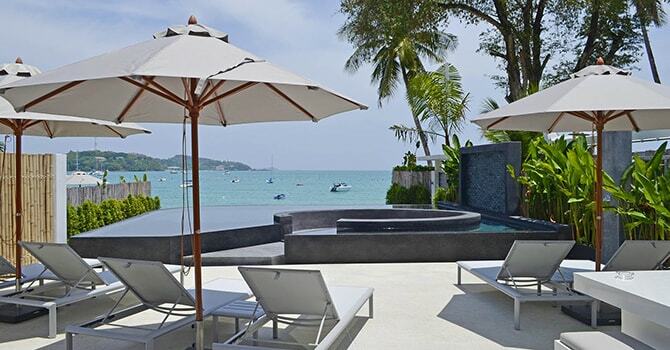 Luxury 10 Bedroom Beachfront Villa Baan Amandeha set directly on white sand beach with oversize infinity pool in stunning Phuket. 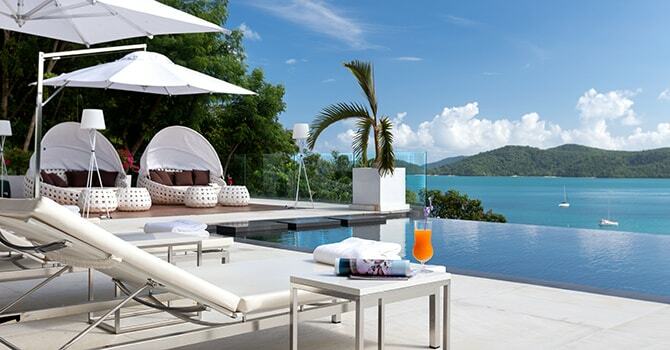 Luxury 6 Bedroom Sea View Cliff Top Residence is perched high on a cliff above stunning Ao Yon Bay in tropical Phuket. Ao is the Thai word for Bay and Ao Yon is a piece of old Thailand, a quiet paradise in the very south of Phuket. There are two beaches here, split by a small headland, you can watch the local fisherman who still work from one. The other beach is picture and place perfect with fine white sand, coconut palms and a calm clear sea. The area is so quiet and peaceful that you can just lose yourself and wind down to a different pace. 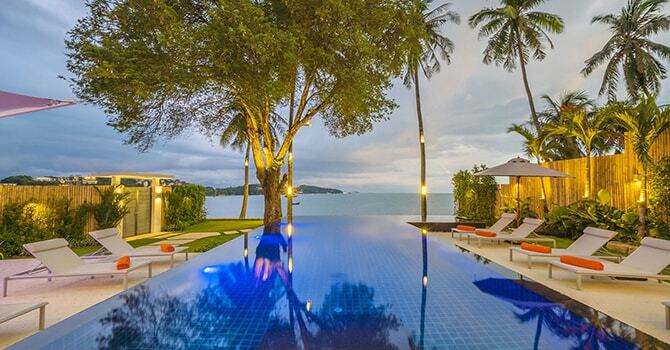 There are 3 villas to choose from, maybe the best villas in Phuket. This villa boasts every modern convenience you can imagine and with an infinity pool looking out over the incredible view to the far off islands. 6 bedrooms accommodate up to 12 guests. This huge beachfront villa is made for a large group to spend time together. Right on the beach with a sunken outdoor lounge area beside the pool, outdoor bar, jacuzzi, sauna and steam room. There is one price so for the best value come as 20 people and it will make your next great villa vacation.